The Castle was Kafka’s last novel, and like most of his others (except The Trial) it was never completed. Indeed, it ends abruptly, breaking off half way through a sentence. But it towers like some sort of an unfinished masterpiece over the rest of his work. Anthea Ball, the translator of this new edition from OUP, makes the case that The Castle is unlike The Trial because it is set in the countryside and it is mainly concerned with a village community. This is what might be called a ‘charitable’ interpretation. Others are likely to note that it has a very similar protagonist, with the same initial name (K) who seeks acceptance into the village and is condemned to failure in his attempts to gain admission to the Castle. This building dominates the entire locality and houses swarms of unseen officials and various bureaucrats representing authority in the absence of its real owner, who never appears. The castle is also likened to a church or cathedral – and the villagers do in fact pay it religious devotions. Visitors to Kafka’s home town of Prague do not have to look far to see the likely origin of this powerful symbol. Prague Castle towers above every possible view from the surrounding city. The villagers live in a state of what Marx called ‘rural idiocy’ because of their reverence for this unseen authority. Kafka’s other works are mainly set in a city – and he himself rarely left Prague where he was born, went to school and university, and worked – until the very end of his short life. But The Castle is world of shabby, overworked and undernourished peasants who live in hovels and endure brutish behaviour from everyone above them in the pecking order. K does his best to challenge in a rational manner the benighted obeisance in which the villagers are held because of their irrational respect for the Castle’s authority – especially in the form of Klamm, an official of such awesome power that people are even afraid to say his name or look at him. But K is met with ambiguity, contradiction, and absurdity at every attempt to deal with the strange world in which he finds himself. There is also the usual sexual ambiguity one comes to expect in Kafka’s work. When K arrives in the village, Frieda the barmaid is Klamm’s mistress, but she gives him up in favour of the newcomer K. The two of them consummate their passion on the floor of the bar room amongst beer puddles, unknowingly observed by the comic twins Artur and Jeremiah. This experience transports K into ‘another land’ – and yet he quickly gets fed up with her and spends all his time thinking about gaining access to the Castle. Any number of possible interpretations of the novel have been discussed at length in the critical writing on Kafka. It has often been seen as a novel-length version of his parable ‘Before the Law’ in which a man seeks entry to the Law but is denied by a gatekeeper. The man decides to wait and only when he is dying asks why no other people have ever sought entrance. The gatekeeper replies “This entrance was assigned only to you. And now I am going to close it”. These new editions of Kafka’s main works from Oxford University Press offer fresh translations, and they come with extended introductory essays, full explanatory notes, a bibliography, and both a biographical preface on Kafka and a chronology of his life. They also explain the very complex provenance of the text. 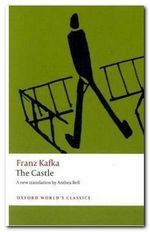 The Castle is not for readers new to Kafka. 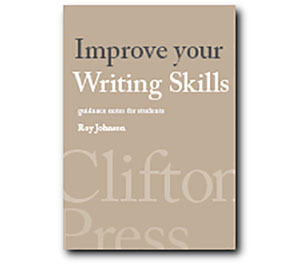 Better to start with the short stories, such as Metamorphosis or his shorter novel The Trial. But for anything like a complete Kafka experience, this one is unmissable. It is also a surprisingly funny novel at times, despite its sombre overtones.